There is a strong belief in the idea of getting infants to sleep in their own beds in their own rooms. The problem with this belief is that independent sleeping is unsafe for babies and impractical for parents. If we look at the over arching history and across cultures, infants and young children have almost always slept within close proximity to the adults who care for them. Despite all the campaigns and advice, the numbers show that about 50% of American families sleep with their infants in bed with them, some part of every night. Another 30% sleep with baby 1-6 nights a week. So where did the idea of infants sleeping alone originate? One question I am asked often is “What time should my baby go to sleep?” There are many articles and books that talk about how sleep begets sleep, or a baby who isn’t sleeping well needs to go to bed earlier. For a baby who is truly overtired, getting them to bed early may help. For many infants, a bedtime that is too early can create more sleep issues. From a biological perspective there is no ideal bedtime. How we organize sleep is determined by where we live and the flow of our day. Our desire to have our babies to go bed early is driven by our cultural attitudes of parenting and adult time. Though sleep is a biological process, most of how and when you sleep is determined by the culture you live in. Culture determines how much you value sleep, who sleeps with whom, when you go to bed, and when your day starts. In America, there are many ideas about how infants and toddlers should sleep. Most parents think these ideas come from biological science, when, actually, the most pervasive beliefs about infant and toddler sleep are only cultural constructs. These cultural ideas often don't match up with children’s biological needs or with parental beliefs, and they leave parents feeling lost and helpless. 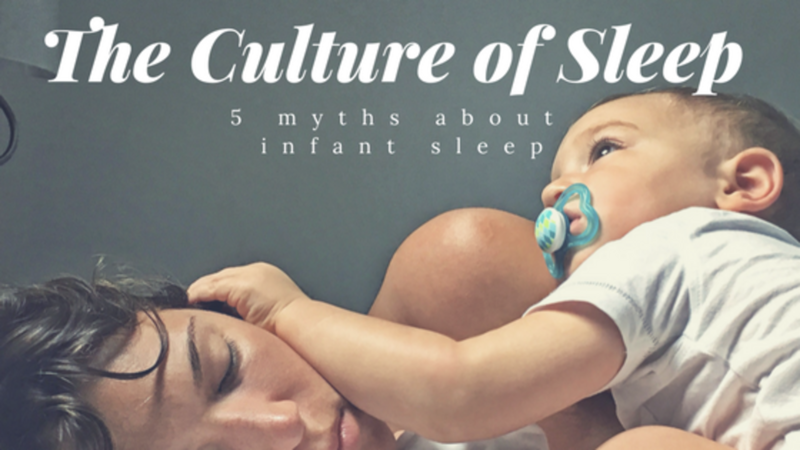 Over the next five weeks, I’m going to debunk the top cultural beliefs that cause problems when parents are trying to create healthy sleep for their infants and toddlers.